Succulents need a lot of light, but there is such thing as too much sun. 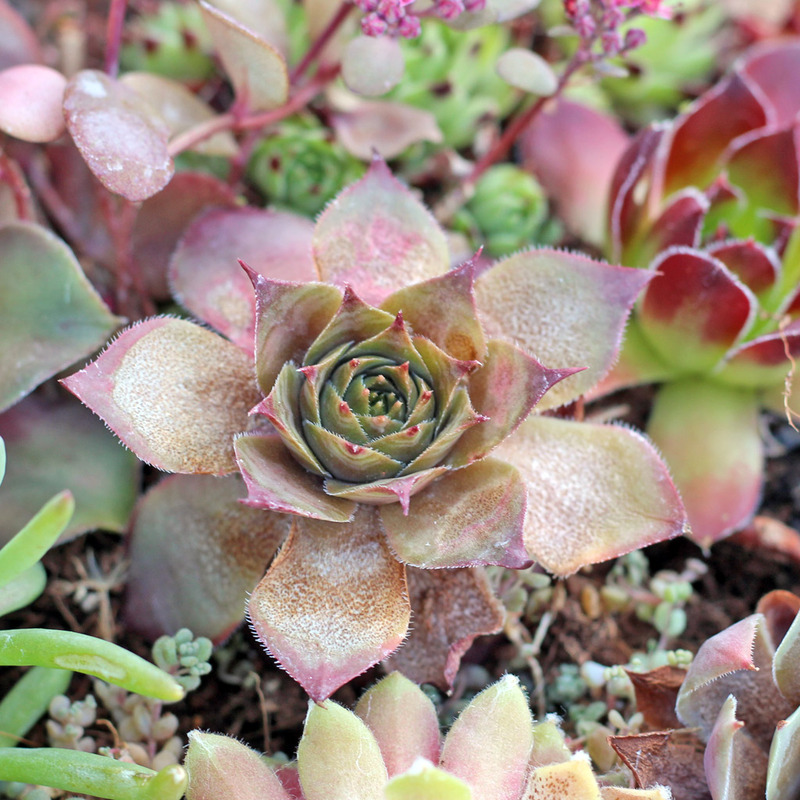 Hens and Chicks (Sempervivum) are hardy outdoor plants that, once established, can tolerate an amazing amount of climatic extremes and neglect. And yet, even the most experienced growers can accidentally fry their semps. That's what happened to us one hot weekend in May. 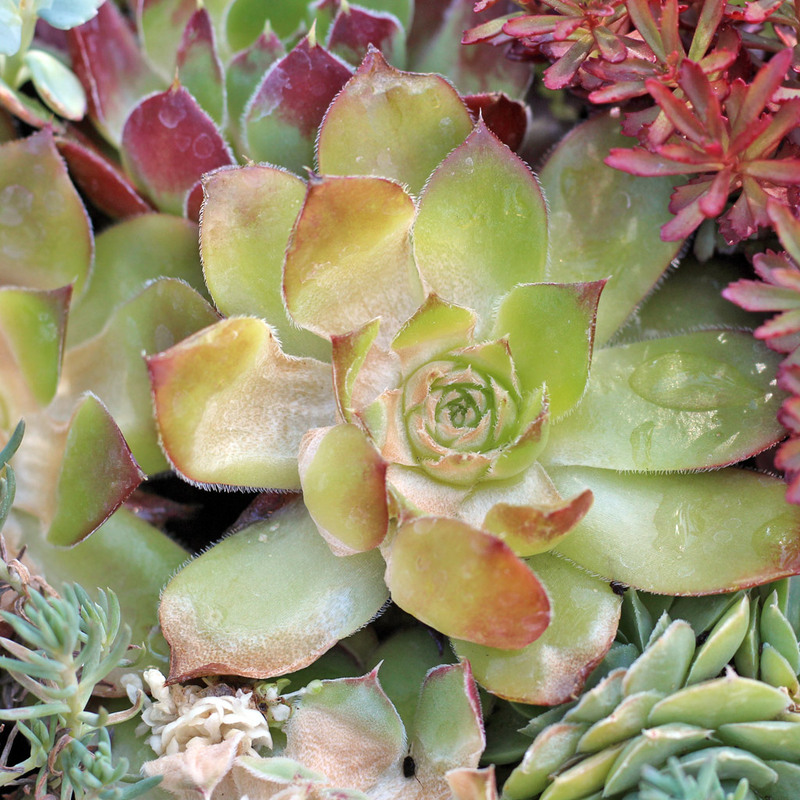 Lest these plants suffer in vain, we hope this mistake can help you learn how to save your own succulents from sunburn. Please note: while our example is of Sempervivum, the same results can be seen in many succulent varieties, even indoor plants on a window sill. Have your semps already been fried beyond recovery? Don't lose hope! Replace your plants and use the info below to give it another shot. So how do you know if your plants are sunburnt? Too much sun impacts the appearance of rosettes, causing them to change in color, texture, and form. A sunburnt plant will show brown specks that develop into extensive mottling. The texture of the leaves will turn crispy and wrinkled, particularly where the leaves are thinnest. Colors can fade as the rosette is bleached by the sun. Below, you can see an example where all of these conditions occurred at once and a whole dish garden experienced succulent sunburn. These plants were recently transplanted from a greenhouse with filtered sunlight to an outdoor planter that received full sun all day long. Without sufficient time to establish roots and acclimate to the outdoor light, the rosettes could not moderate the water content of their leaves to protect themselves from the sun. When combined with a hot weekend of 80F temperatures, these Sempervivum didn't stand a chance. 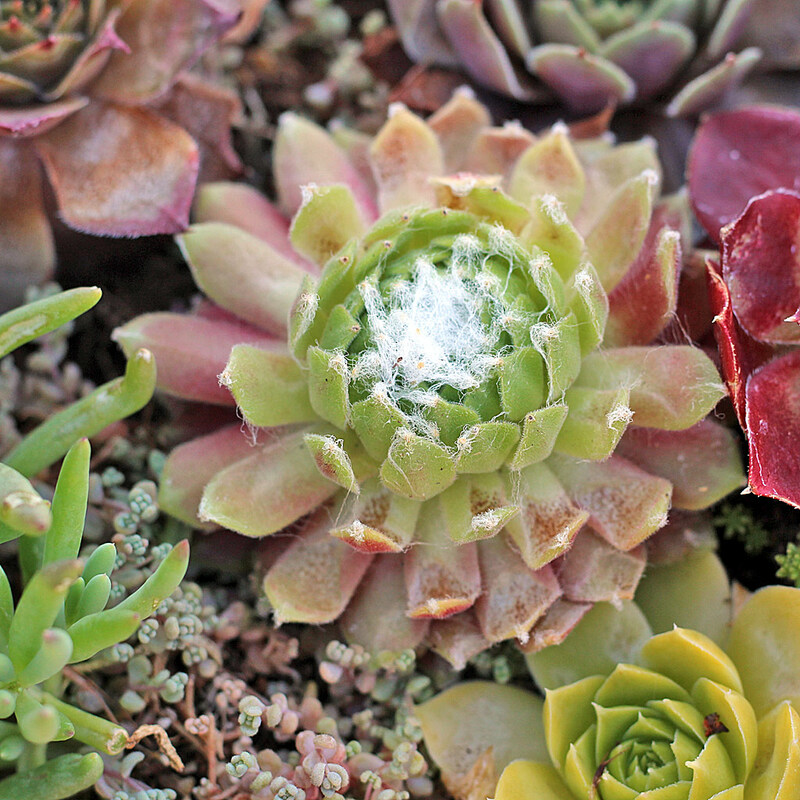 Sempervivum rosettes can handle full sun and high heat, just not both at the same time. 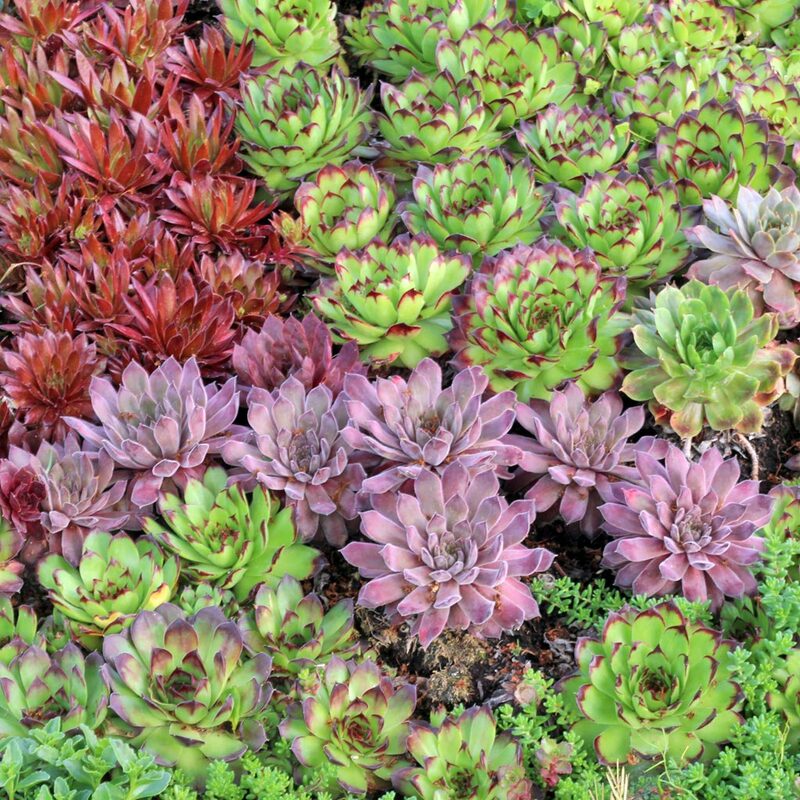 With these precautions, Sempervivum will flourish outside and bring colorful interest to your landscape.